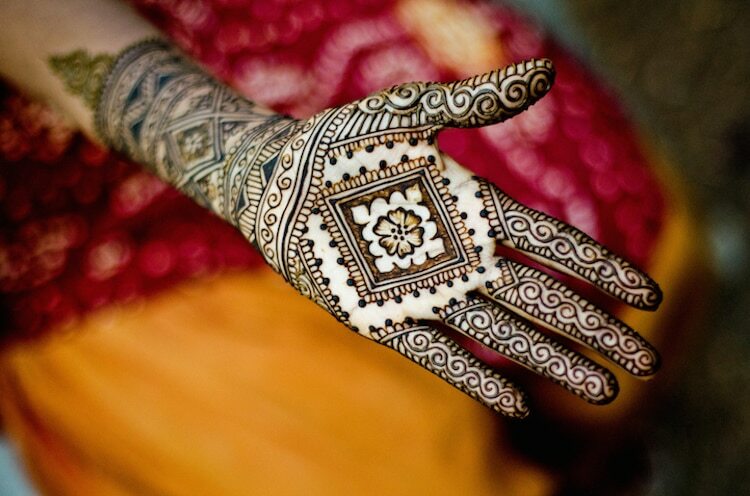 For thousands of years, the art of henna (called mehndi in Hindi & Urdu) has been practiced in India, Pakistan, Africa, and the Middle East. 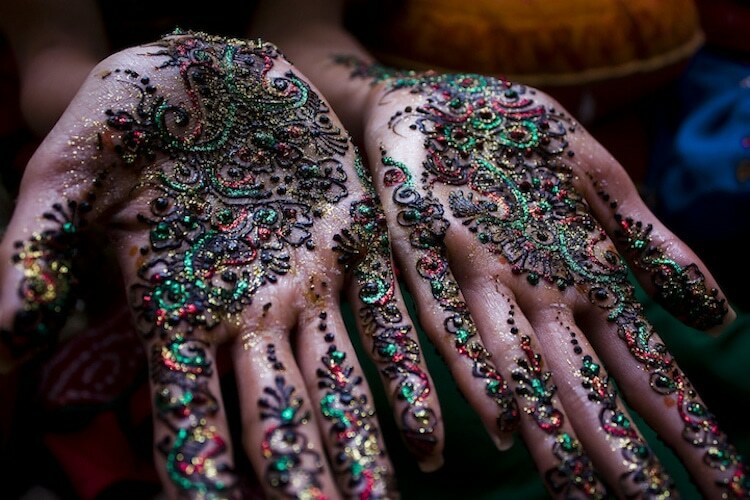 The henna plant is crushed and mixed with other ingredients into a paste, which can then be applied to the skin in dazzlingly intricate patterns. 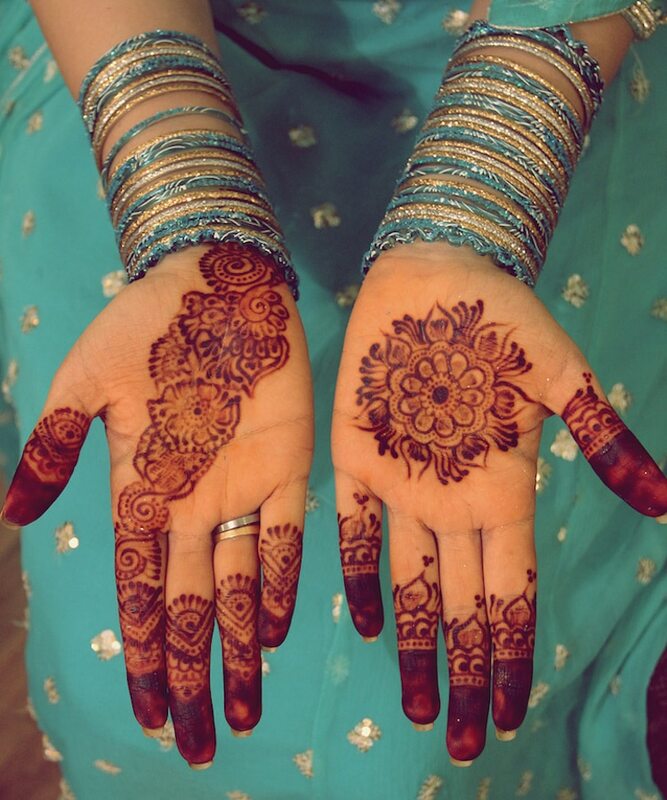 Once the paste is removed, the reddish-orange stain begins to oxidize and darken over the next few days. 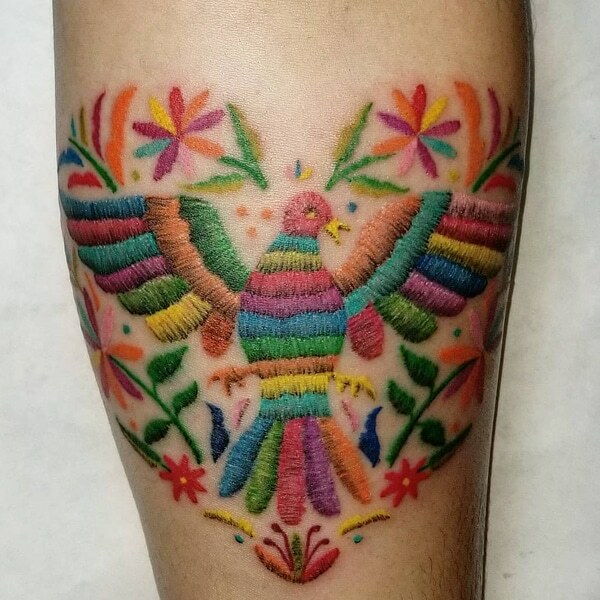 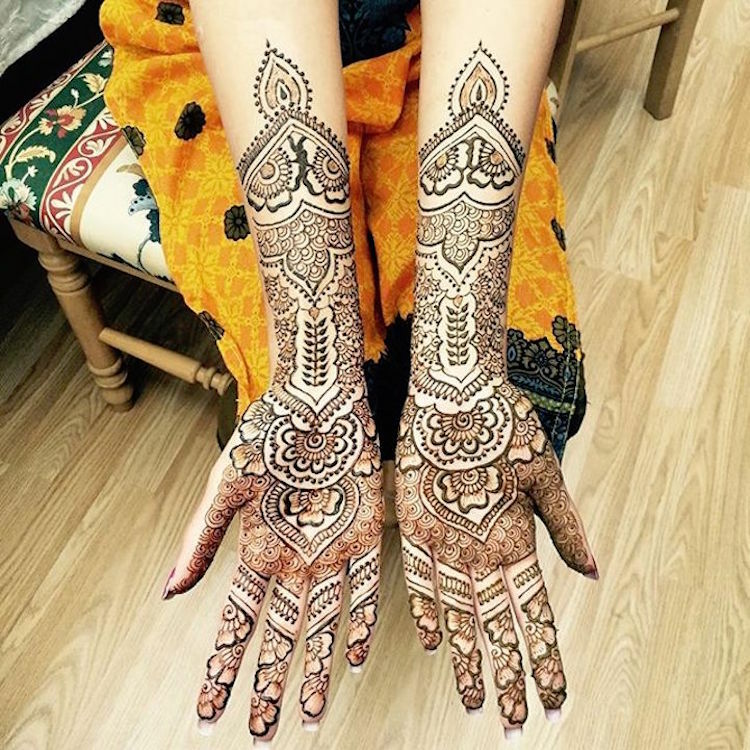 Although not permanent, the body art can last up to one or two weeks on the surface of the skin, making it a temporary and pain-free alternative to traditional tattooing. 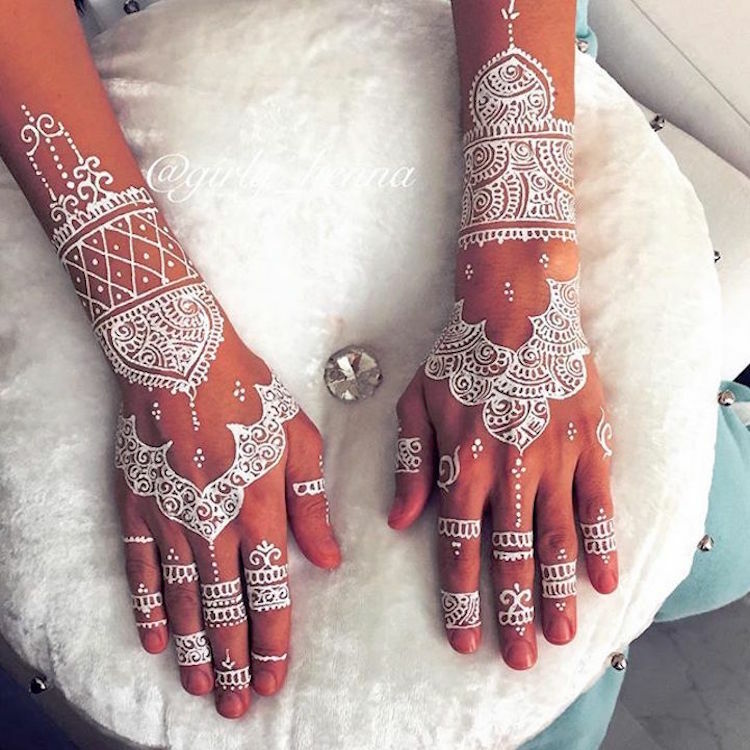 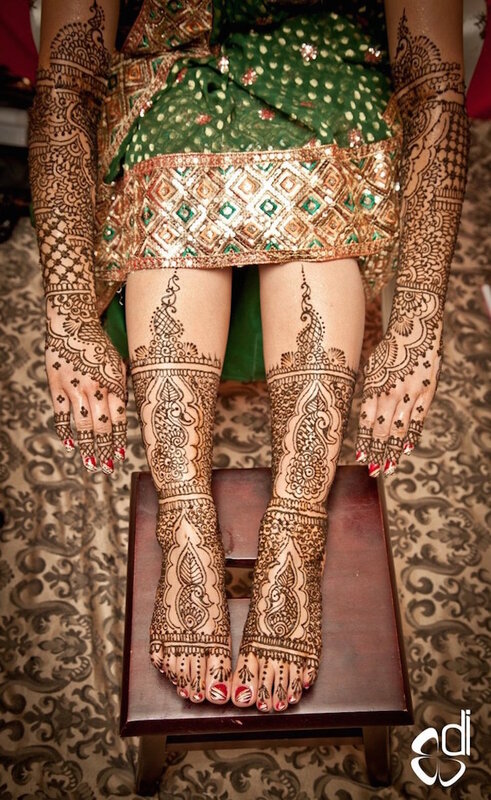 The main decorative use of henna is the adornment of a bride’s hands and feet before her marriage ceremony in Hindu and Muslim cultures, although it is also used by both men and women to mark other special celebrations and religious holidays like Eid. 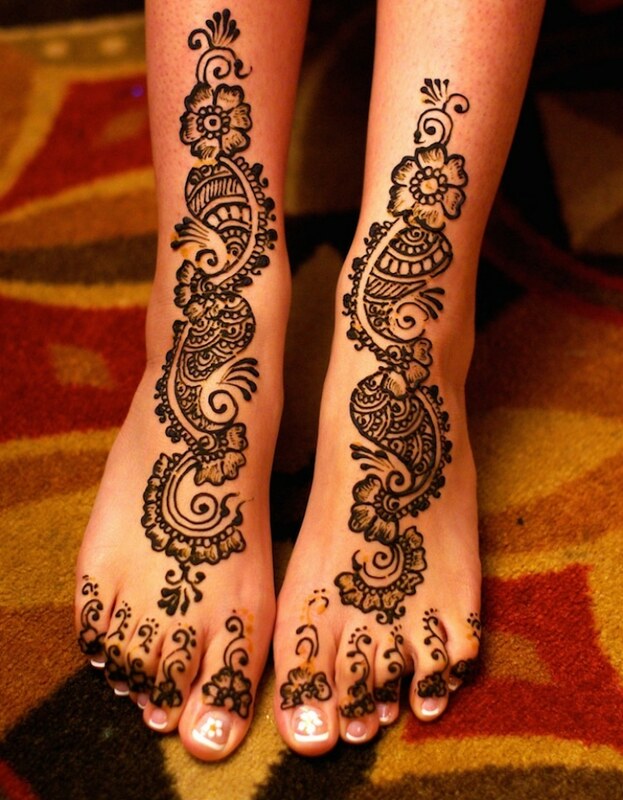 A common practice is the pre-wedding “Night of Henna” party, during which female relatives and friends of the bride gather to get their hands and feet decorated with henna. 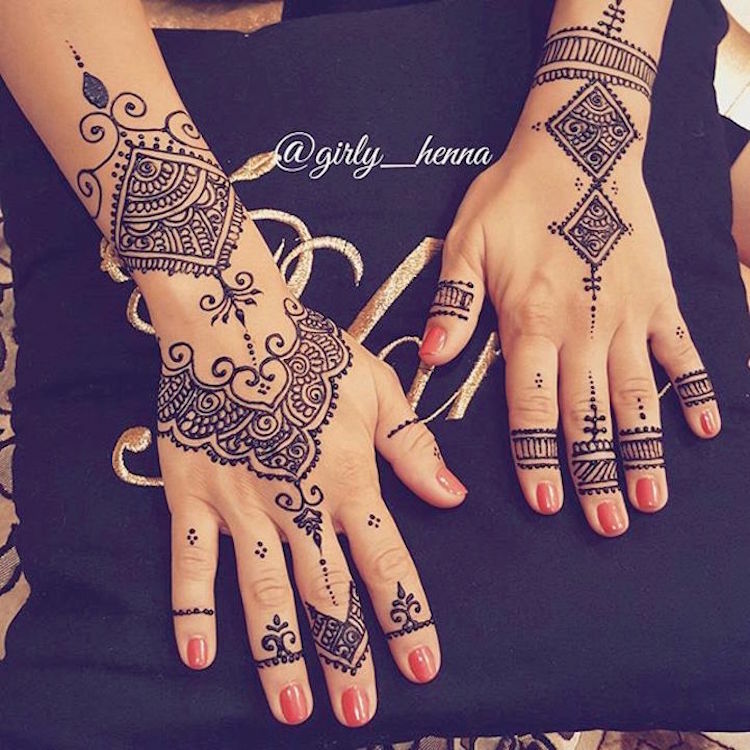 Henna designs vary from culture to culture. 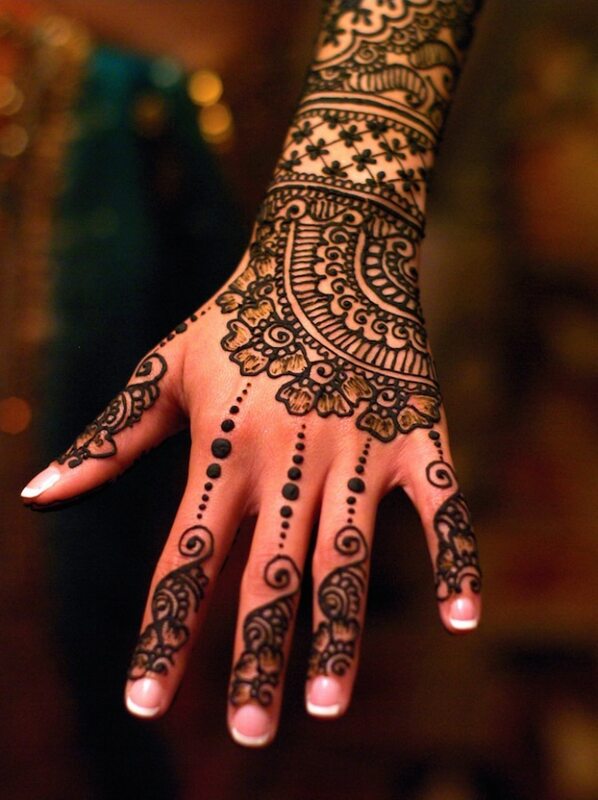 Arabic designs are usually abstract and less dense, featuring graceful patterns of flowers and vines. 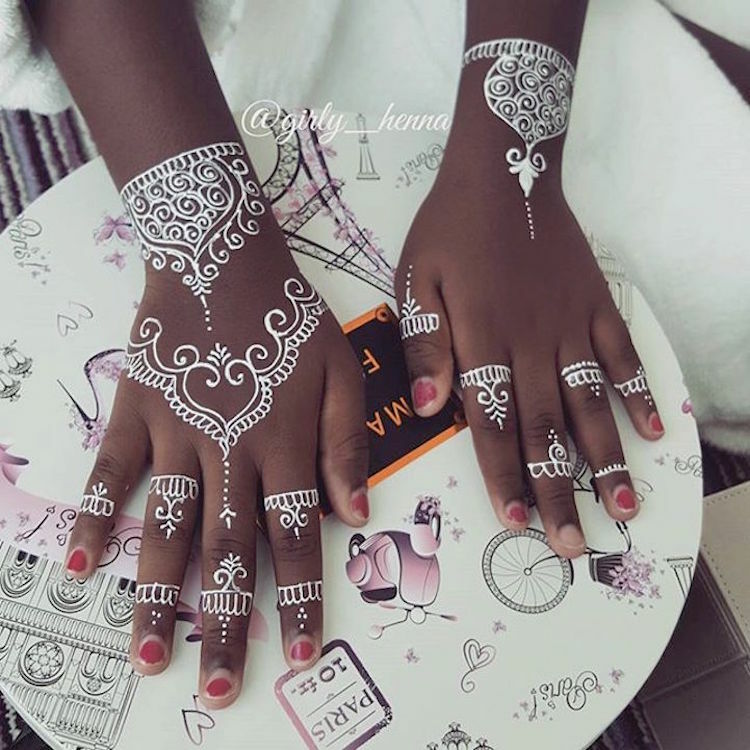 African henna patterns tend to be simple and bold with large geometric shapes. 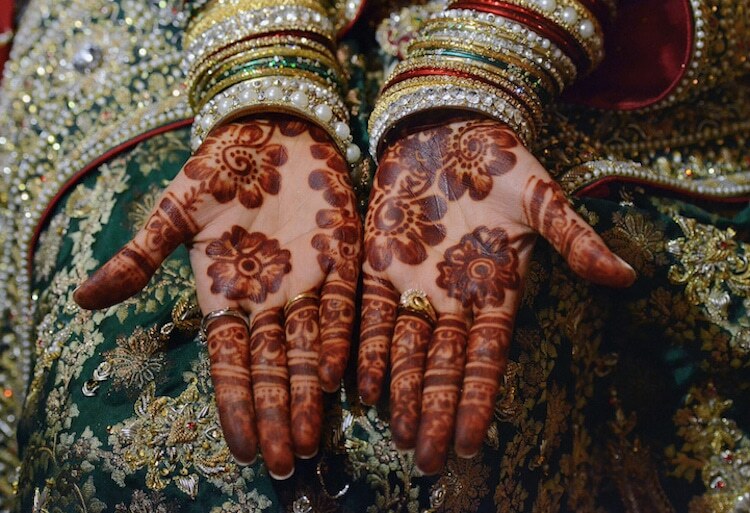 Indian mehndi involves thin lines for lacy, floral, and paisley patterns; dense artwork covering entire hands, arms, and feet; and often incorporate representations of the sun on the palm. 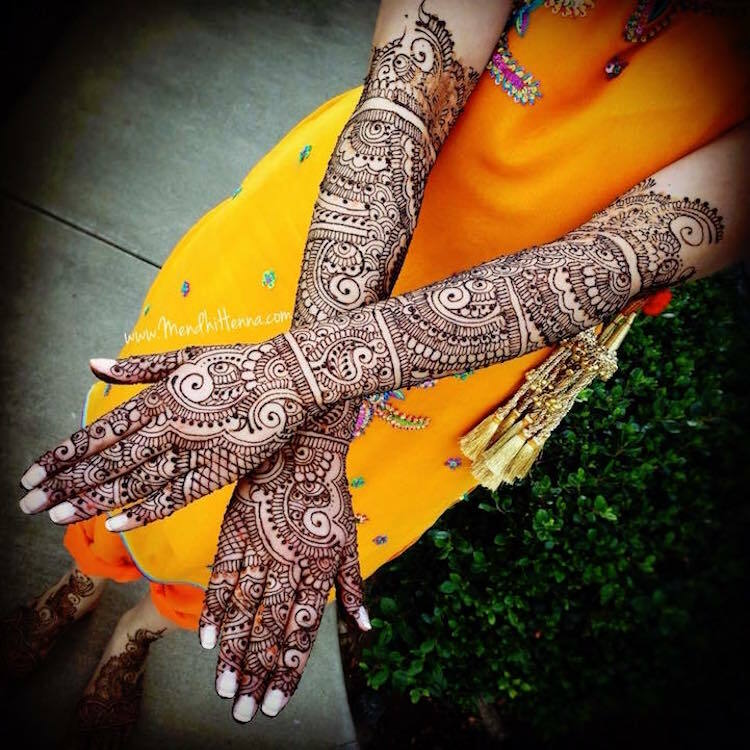 Non-traditional, modern designs sometimes combine elements from all of the above, and may include innovative uses of glitter, gilding, and more. 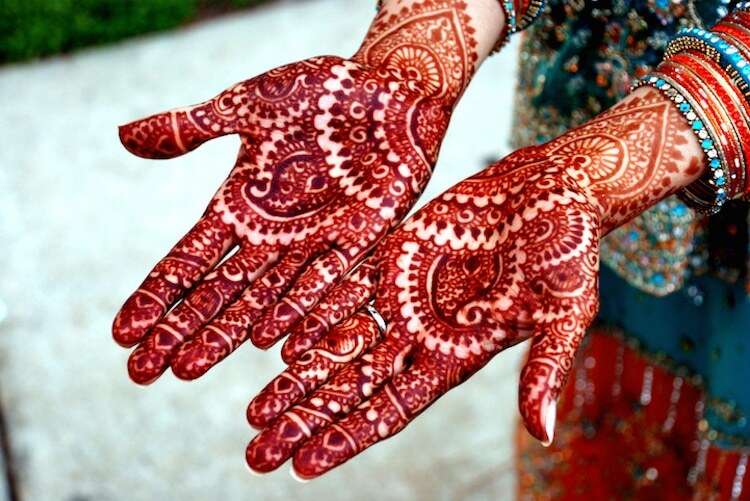 Both aesthetically striking and deeply symbolic, henna is rightfully admired all around the world. 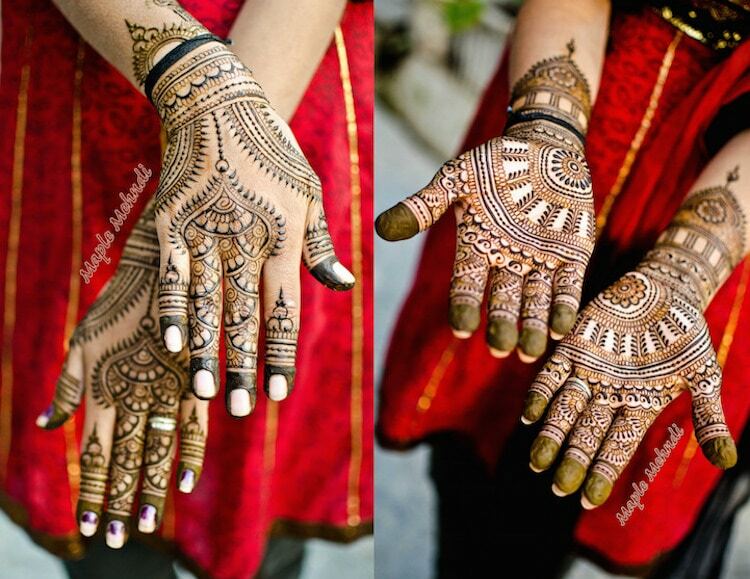 Scroll down to see some gorgeous examples of this ancient art form.